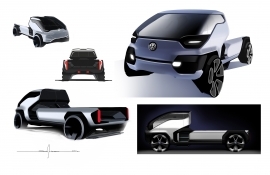 Josh Sandrock is currently studying Transportation Design at Art Center College of Design. 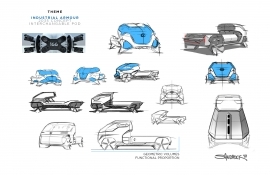 As a San Diego native, his passion for car design began at a young age, heavily influenced by Southern California’s diverse car culture. 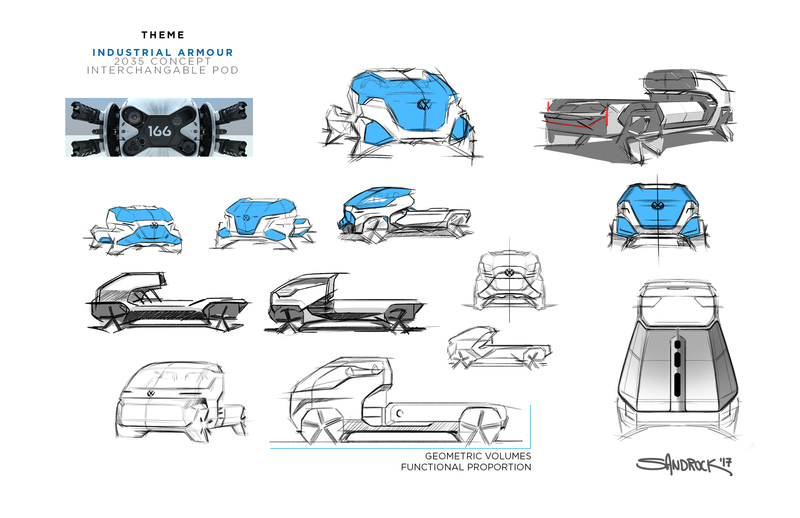 He takes a function first approach to his work. 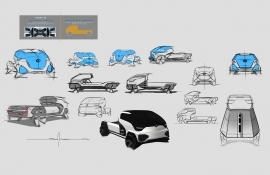 Allowing the vehicles architecture to seamlessly dictate the exterior aesthetics. Capturing emotion with minimal design is his goal for every project he creates. 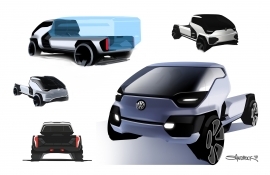 His efforts landed him an exterior design internship at Volkswagen Design Center California during the summer of 2017. 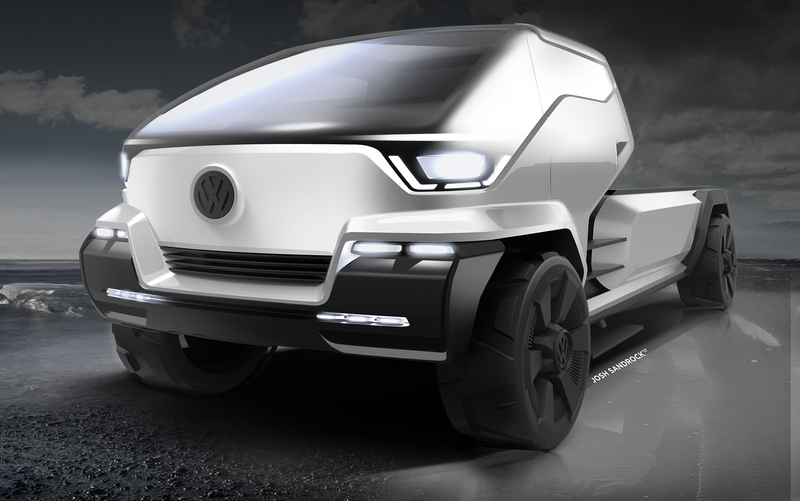 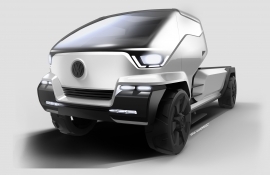 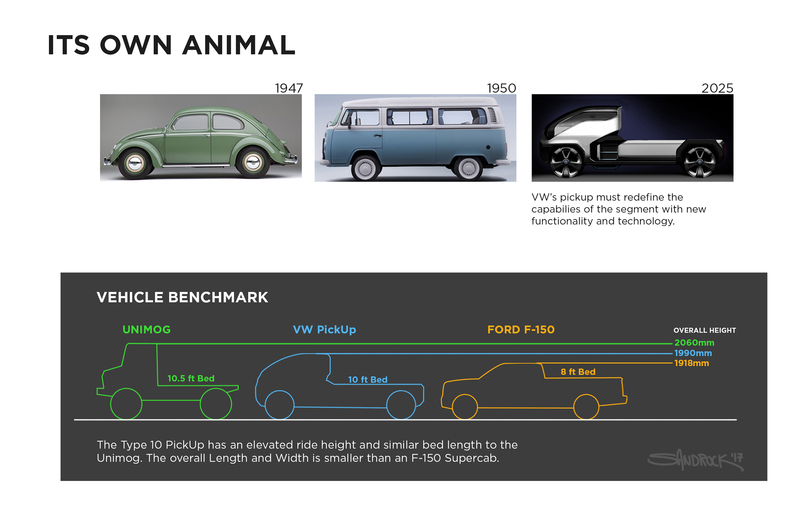 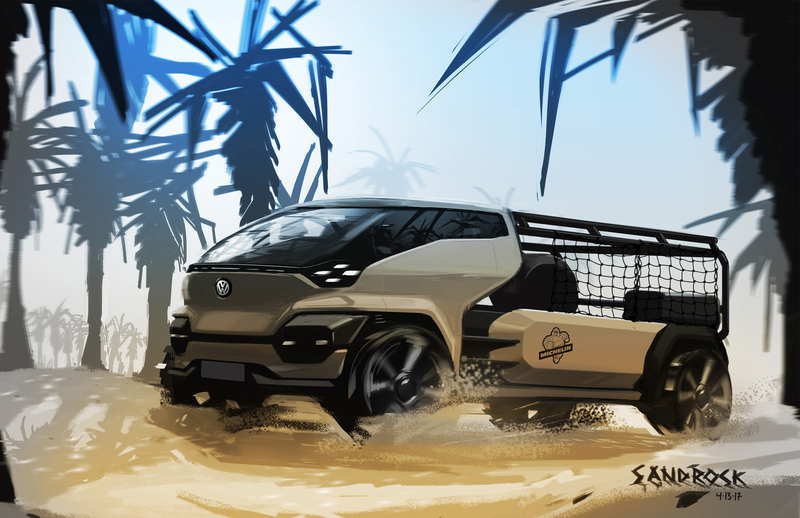 The Volkswagen Type 10 PickUp is a concept that aims to increase functionality and use of a single vehicle. 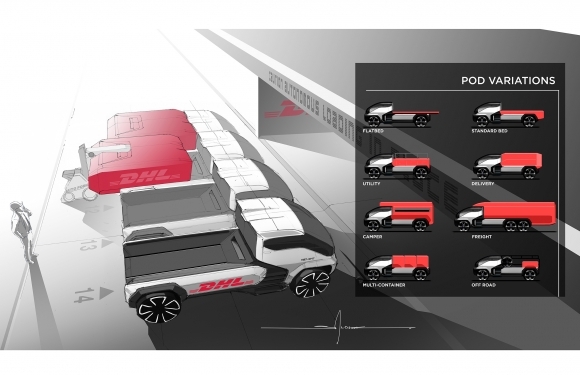 The modular pod system revolutionizes the segment because it gives customers the opportunity to change the truck bed to meet the needs of its desired use. 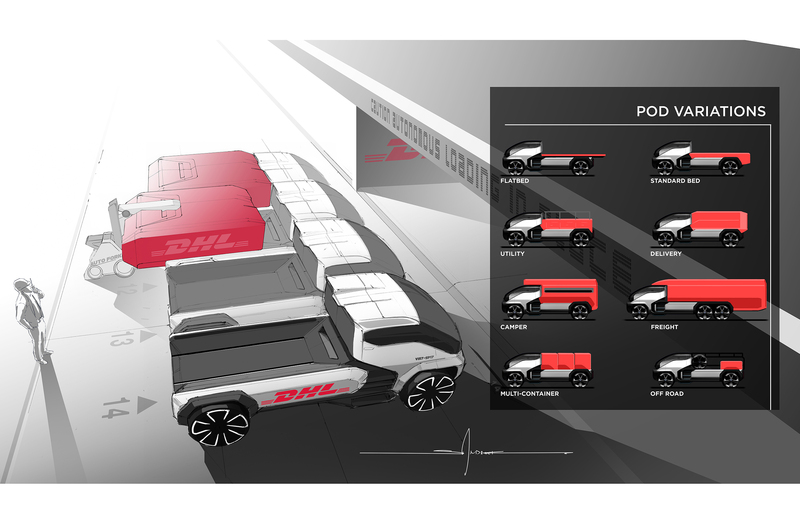 Pods can range from a standard truck bed, to an enclosed freight style cargo container. This vehicle is intended for personal and commercial use in the North American market, where the highest selling vehicles in this region are all pickup trucks. 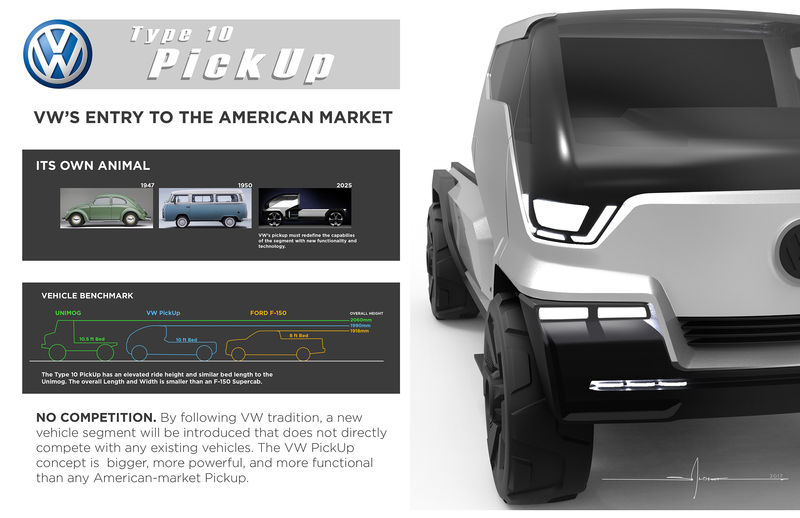 The Type 10 PickUp introduces a new segment that does not compete directly with any existing vehicle. 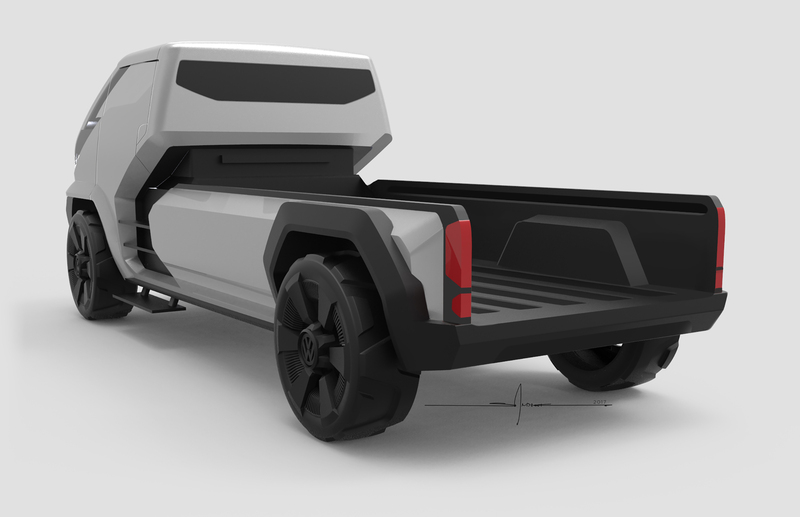 It is bigger and more capable than any existing American pickup. 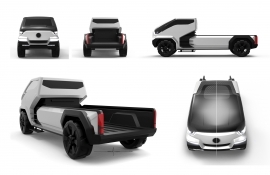 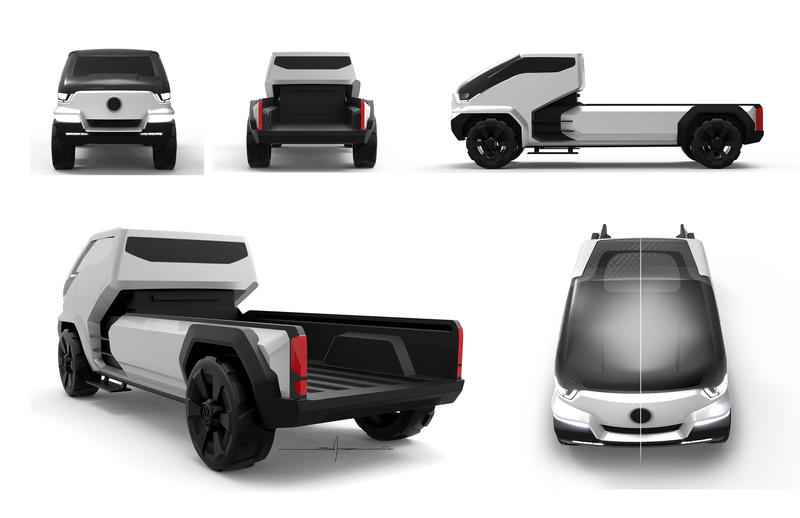 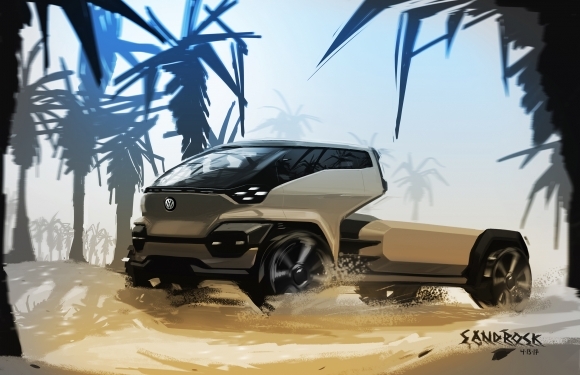 Customers searching for a more functional alternative to the standard pickup truck will find this concept desirable. 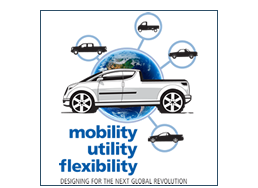 Customization after purchase is highly encouraged, allowing the vehicle to adjust according to the owners everchanging vehicle needs.